Under the guidance of acclaimed South African storyteller, Gcina Mhlophe, five orphaned children from Swaziland collaborate to craft an original fairy tale drawn from their darkest memories and brightest dreams. 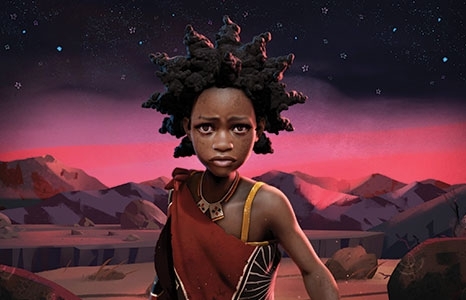 Their fictional character, Liyana, is brought to life in innovative animated artwork as she embarks on a dangerous quest to rescue her young twin brothers. The children's real and imagined worlds converge, and they must choose what kind of story they will tell—in fiction and in their own lives. This inspiring tale of perseverance is a tribute to creativity, the strength of the human spirit, and the healing power of storytelling. Read the Newsweek article with Executive Producer Thandie Newton here.